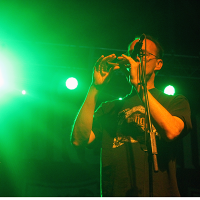 The Dropkick Murphy's and Black 47 performed at the TD Bank Sports Center on Friday, Sept. 28 in celebration of the opening of the An Gorta Mor Museum. John Lahey announces Black 47 at the concert on Friday, Sept. 28. Black 47 performs at the concert on Friday, Sept. 28. Members of Quinnipiac athletics announce raffle winners at the concert on Friday, Sept. 28. John Lahey presents an all expense paid trip for two to Ireland at the concert on Friday, Sept. 28. 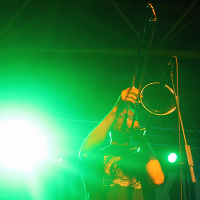 Dropkick Murphy’s perform at the concert on Friday, Sept. 28.